A hard to find classic! 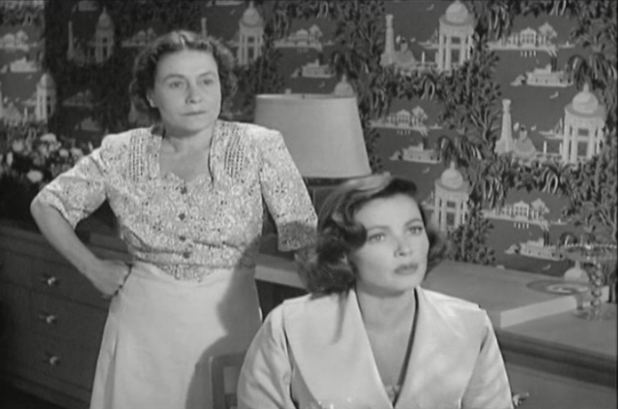 Widely regarded as one of Thelma Ritter's best roles, The Mating Season is an intelligently written 1951 comedy with a great cast who worked under excellent direction from Mitchell Leisen. This is a very sweet, funny film with wonderful ensemble acting and great characters. 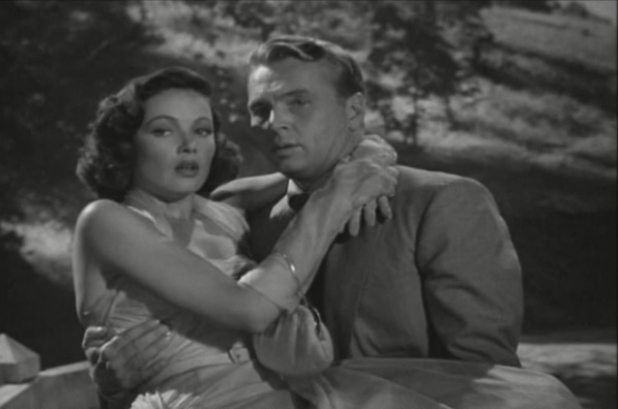 Gene Tierney has her familiar hairdo (which around this time she didn't always have) and looks gorgeous. She's totally charming as Maggie. John Lund does a good job as her harried husband, who wants to make good and has just a touch - a slight touch - of being a jerk. It's a weakness that we forgive him for later on. 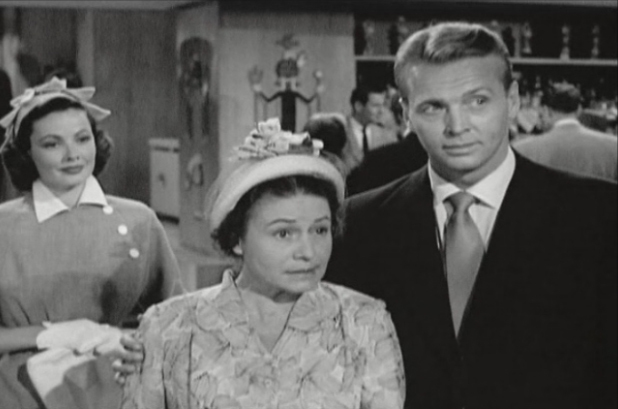 Of course, Ritter steals the show as Ellen, doing a role very familiar to her - a mouthy servant. Hopkins is bigger than life as Maggie's totally obnoxious mother, and Larry Keating is a delight as Val's boss' father, who has better values than his son will ever have. Jan Sterling has a small part as Val's secretary and former girlfriend. 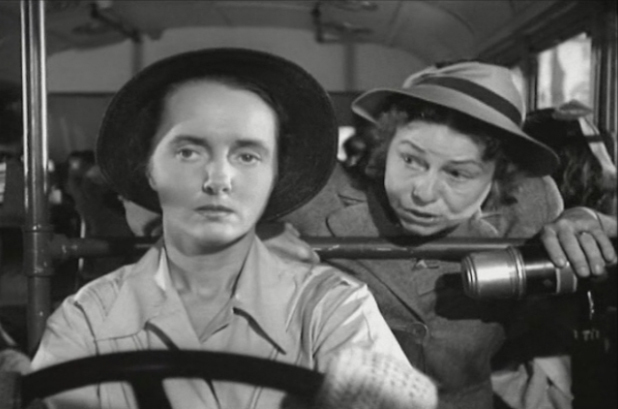 Although she received fourth billing, Thelma Ritter completely carries the film and runs away with every scene she's in. This fim is often cited as a favorite by Ritter fans as the script seemed to be written as a vehicle for her to showcase her wide range of talents. Sadly, this film was never released on VHS or DVD and is very hard to find.